The tweet unleashed speculation that perhaps Deathstroke would be a villain in Justice League. 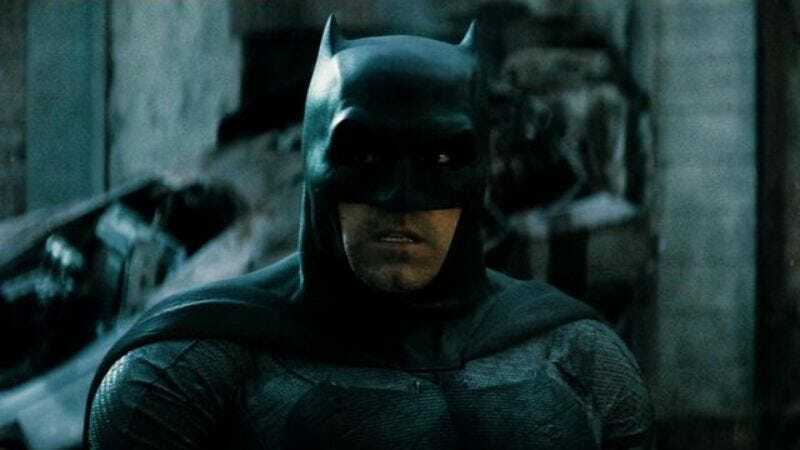 But according to a report in The Wrap, Slade Wilson is going to be the baddie in Affleck’s standalone Batman movie. Somewhere, Jared Leto is crying into his Cheerios and fixing Affleck a care package containing live rats and used condoms. Meanwhile, Affleck and Margot Robbie have been hanging out in London, possibly implying that Harley Quinn is somehow involved with the movie. Or, you know, they may have just wanted to see the Harry Potter play together so as to settle a debate about which Hogwarts house they would be in.